As the chosen charity partner of digital education company Tes, Camfed was honored to be a guest at the Tes Schools Awards in London last week. This event recognises outstanding achievements of teachers, with 120 shortlisted entries for 17 award categories including Community Impact, Early Years Setting, and Alternative Provision. It is a public celebration of the daily dedication of teachers across the UK, working to improve learning environments, access to education, and student success at all levels. The Tes Awards honor teachers that go above and beyond for their students; teachers that share the passion and drive of Camfed’s Teacher Mentors, who support the most vulnerable girls in rural Africa to stay in school and succeed. Guests donated and pledged an incredible £5,954 towards Camfed’s work, supporting girls facing unimaginable hardships across sub-Saharan Africa on the path to education. It is impossible to understate the transformational value of this gift to the lives of the girls, their families, and their entire communities. At the event,the 1,300-strong crowd of teachers, politicians, educationists, and partners watched this video about a Camfed scholar from Tanzania called Desderia. Her Teacher Mentor, Madam Agnes, played an instrumental role in ensuring that she didn’t lose out on her education because of poverty. 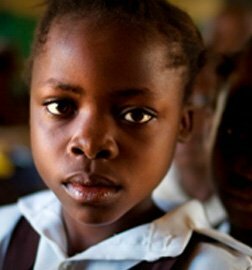 Today, Desderia is Head Girl of her school, working hard towards her goal of becoming a teacher. 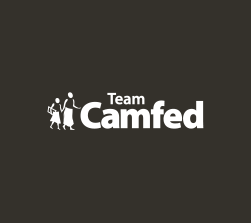 Camfed has, together with its alumnae and community partners, supported more than 1.8 million girls and boys at primary and secondary school. 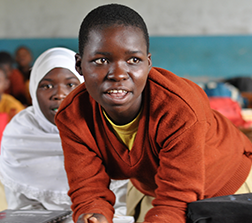 In 2014 we set ourselves an ambitious target of supporting 1 million girls through secondary school by 2020. We are on track to achieve this goal, having supported 542,079 by the end of 2016. Our partnership with Tes will help us to achieve this goal by supporting more girls, who will go on to use the transformative power of their education to help their communities rise out of poverty. Together we can send one million more girls, like Desderia, to school. 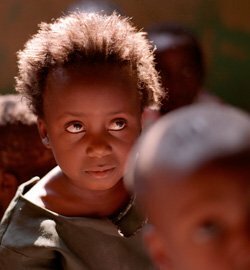 Your gift today will help us educate a girl, uplift a community and change the world.